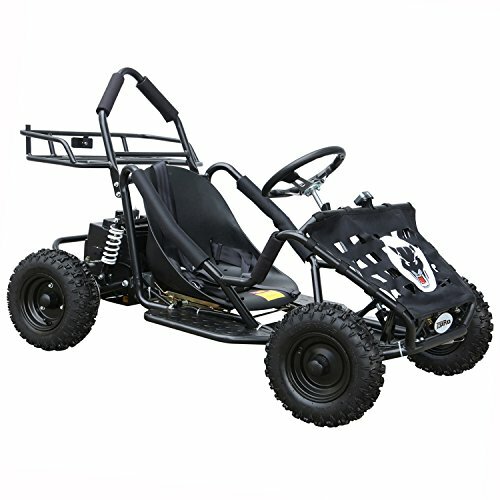 This is an excellent quality electric Go-Kart offers popular features found on much more expensive karts. Fun, quiet and pollution free way to enjoy off-roading. Recommended age: 10+ years. For safety, a helmet should be worn when riding this kart. Off Road Tires: Front 13x5.00-6", Rear 13x5.00-6"
If you have any questions about this product by JCMOTO, contact us by completing and submitting the form below. If you are looking for a specif part number, please include it with your message.